The Community Broadcasting Association of Australia has launched a campaign Commit to Community Radio which they hope will motivate the government for $1.4 million (€1,1m) in additional funding for digital community radio over four years. Community radio in Australia is broadcasting on FM but with initial government funding of $11,1 million (€8,7m) 2008-2012 now also in the DAB+ structure in metropolitan areas. But to be able to continue with DAB more outside funding is needed. Brazil is now considering the choice of digital radio system; the American HD Radio or the European DRM+. As there are more than 4.000 community radio FM stations in the country the choice for small-scale broadcasting is very crucial. In a detailed letter to the Brazilian Ministry of Communications the two pan-European community radio organisations Community Media Forum Europe and AMARC-Europe strongly recommend the choice of DRM+ for community radio in Brazil as well in other parts of the world. The government consultation regarding the proposals of 2012 Public service commission generated a total of 131 responses to the Ministry of Culture. The proposal to let the public service radio company get financing in order to go DAB+ and closing the FM band were commented upon by one fourth of the responses. Only four respondents have observed that it is not only a case of “digital radio” but also establishing a new broadcasting system in a separate new frequency band besides the FM band. Reviewing the responses closely and weighing in competence related to the issue the government could hardly justify funding or supporting the public service radio to establish a DAB-system as well as trying to close the FM band. The Norwegian Media Authority has granted 21st Venture A/S, a South-African company which runs commercial radio Radio Metro i Oslo and other cities 25.340 euro for development of DRM+. Radio Metro will broadcast DRM+ on a FM frequency in Trondheim Spring 2013. Broadcasts will coordinate with the Annual Conference of the Norwegian Local Radio Association May 24-26. The European Broadcasting Union, the organisation of public service broadcasters, has launched a new technical Recommendation at the Digital Radio Summit, confident that it will bring added impetus to the rollout of digital radio services across Europe. Recommendation R 138, representing the first agreement among EBU Members on digital radio distribution, was approved by the EBU Technical Committee last week. 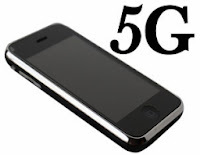 The European Commission will invest €700 million in 5G research and development in a bid to improve the competitiveness of the region’s mobile communications industry. The plans form part of the Horizon 2020 program, which will see a total of €6.2 billion injected into eight Public Private Partnerships (PPP) in areas deemed to be of strategic importance to Europe. The goal of the 5G PPP will be to provide advances including a 1,000 times increase in wireless capacity serving more than seven billion people and the creation of a secure and dependable internet with “zero perceived downtime for services”. In Norway the media and telecom authorities have issued permits for local radio in 9 out of 37 regions allocated for local DAB broadcasting. But there was only one application per region and a total of six companies/organisations including “Digital Norge” which is the DAB promoting organisation. In 8 other regions there were more than one application and here there will be an auction March 7. Denmark and Norway are on the official level the two most enthusiastic countries in the Western European DAB family. A survey by TNS Gallup now shows that thos picture of enthusiasm is not shared by the Norwegian households. 31 percent now listen to radio via digital platforms of different kinds as Internetradio via computer, pads and mobile phones, digital-tv (DVB-T2) and DAB. Sweden has three public service companies; for radio, for television and for educational radio/tv. In the government’s public service consultation Sveriges Television (SVT) and Utbildningsradion (UR) see advantages with digital radio for Sveriges Radio (SR) but are cautious of economy and technical solutions. The companies position themselves skeptical to the proposal by the public service commission. The European Broadcasting Union has published a very comprehensive report which provides the relevant parameters and planning criteria for the implementation of DRM+ in Band II. Two introduction scenarios are dealt with: replacing an existing FM transmission with DRM+ and adding a new DRM+ transmission on a new frequency. Seven Annexes detail planning exercises in Sweden, Germany and the United Kingdom.